It’s time for everyone to drop out of the Battle Bus and into Fortnite Battle Royale as the mode goes free on PlayStation 4, Xbox One, PC, and Mac with the release of the 1.6.3 patch tomorrow (Sept. 26). Gather your squad: four-player and two-player groups are here. Along with squads, we’ve added three new weapons and supply crates that drop from the sky during the match containing valuable items and weapons. This patch also includes a full Battle Royale balance pass, bug fixes and more. For those out there Saving the World in PVE, we fixed a number of campaign bugs among other improvements. We’ll be talking more about the Horde Bash update for Save The World later this week, but if you missed the early look at the update, you can check out the latest dev video here & Zak’s roadmap forum post here. Check out the full release notes below and let us know what you think on the official forums and Discord. 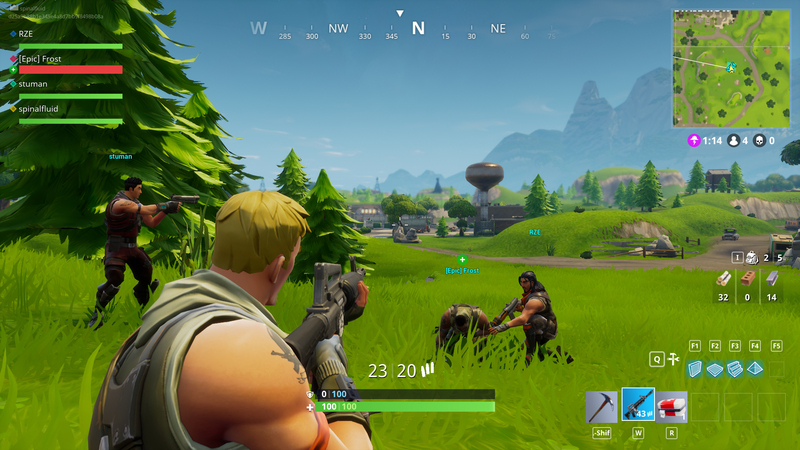 New Duos and Squad match types have been added, alongside Solos. Play in groups of 2 or up to 4 and fight to eliminate all the other teams! 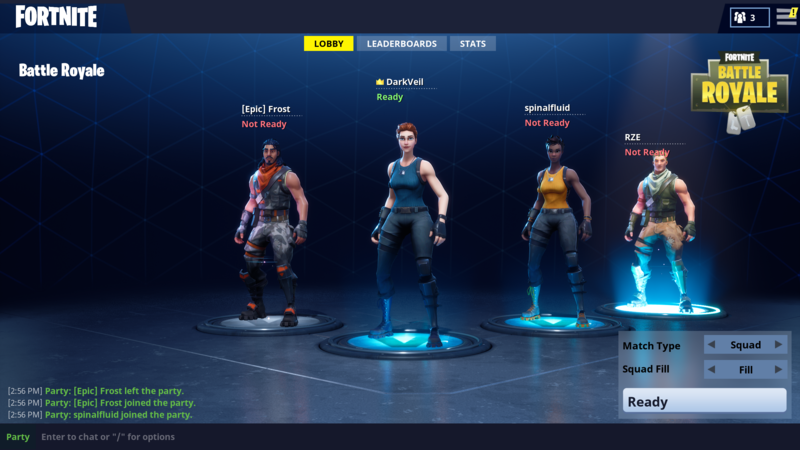 The Squad match type (up to four-player teams) is available to play immediately. Duos (two-player teams) will be activated when there are enough players to support matchmaking in both modes. The Scoped Assault Rifle improves accuracy over the base version, and is best used to engage medium-long range targets. The Zapotron can be used to fire electric blasts in short bursts, or charged up to release an enormous amount of damage! Fire sparingly, as Cell Ammo is extremely limited. This weapon is only available in Supply Drops. The Tactical SMG is an effective medium range weapon with high rate of fire. Anyone who has purchased a Founder’s Pack before Sept. 21 will receive exclusive Camo skins for their glider and umbrella while descending from the Battle Bus! Fixed "You cannot do that now" appearing while holding down the Reload button. Fixed "Unable to Improve Building" appearing when clicking right stick on a controller. Fixed landing footstep sounds playing unexpectedly while walking or sprinting around. Added new ambient audio for rivers and lakes. Improved volume balance and spatialization for medium and distant gunfire. Added a whoosh when you start skydiving, and reduced wind whistling sounds. Fixed audio being received from camera location instead of player location. Footstep audio volume now falls off more smoothly with distance. Increased distance the player can hear structures being demolished. Improved some chest and loot spawn locations. Fixed distant chests appearing as orange boxes. Fixed various collision issues with the landscape and buildings. Fixed some underground basements being inaccessible. Fixed issues with some trees floating above the terrain. Fixed player damage effects not showing at the actual hit location. Fixed spark effects appearing at the wrong location when destroying placed walls. Improved Glider and Umbrella animation. Improved the Pump Shotgun animation. The "Reset Building Choice" gameplay option now works while using a controller. Spectator camera now correctly matches the viewed player's gameplay camera. 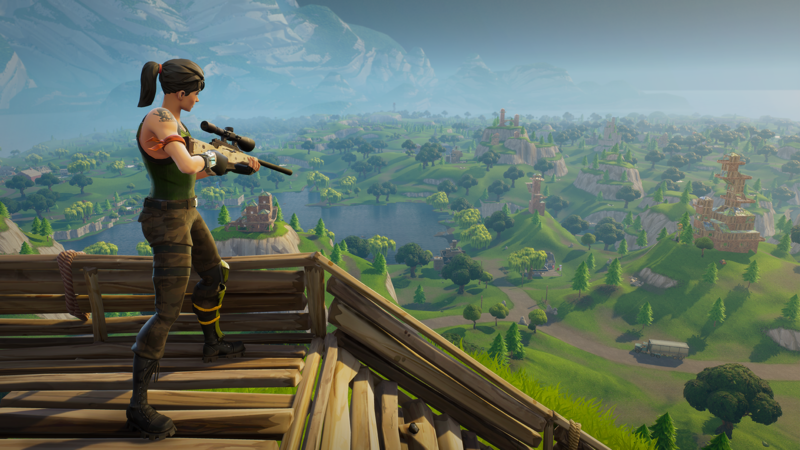 Share your thoughts on the Battle Royale changes here. Fixed an issue causing the Hydraulic Rocket Launcher to be heard from long distances. Fixed a crash caused by sending a friend invite on PS4.